Nearly every commercial organization utilizes standard equipment like fork lifts to help speed up projects and move heavy loads. However, many think that certain types of machinery are far too expensive for their organizations to use. While said machinery does come in handy, it is only useful in certain instances and most businesses don’t want to spend a large amount on a tool that won’t be used regularly. A snow plough is a good example of this type of equipment, which is why The Workplace Depot is excited to offer the Snow Plough Fork Lift Attachment. This handy attachment can turn any fork lift into a snow plough. What is The Purpose of The Snow Plough Fork Lift Attachment? 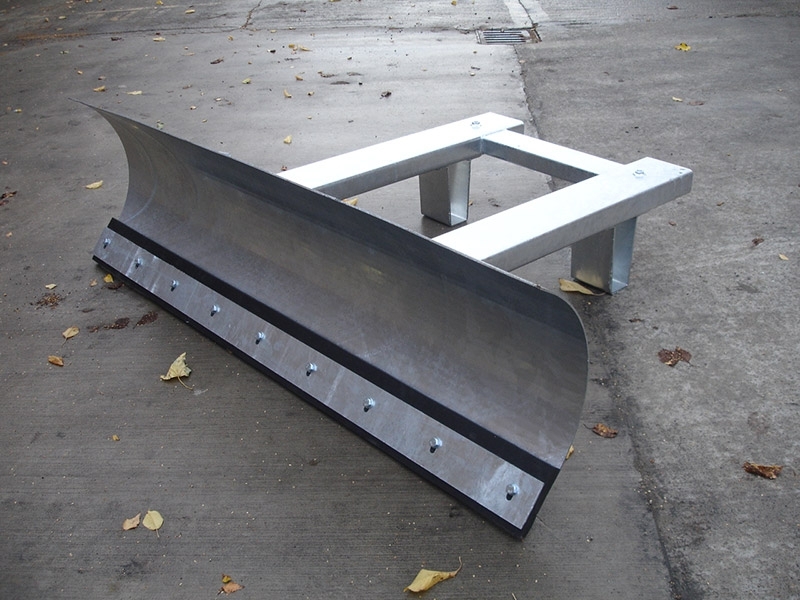 This device is designed to help convert a standard fork lift into a durable and reliable snow plough. This economical choice is both cost- and space-efficient. It is a very affordable way to help control snow accumulation on the ground with a standard fork lift, and it can be easily stored away when not in use. The unit was designed to help businesses clear out work zones, parking lots, sidewalks, and other areas after heavy snowfall. 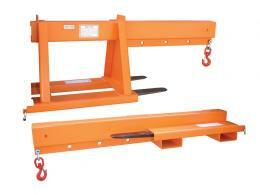 This product can be used at any location with a standard fork lift. 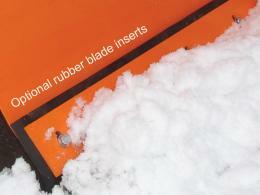 The attachment easily fits on to lifts and helps to clear away heavy and packed-down snowfall. Every business wants to make sure their parking lot and walkways are clear for customers. This is especially true when those customers are looking to stock up on supplies after a winter storm. This is a great way to save on costs as businesses can avoid calling a snow plough truck to clear out these areas for them. With its user-friendly design and simple latching mechanism, the unit can be attached to any fork lift and used by any driver. No extra training is required in order to operate this snow plough. The unit can help shipping yards clear out paths for their delivery trucks during snowy days in order to build better relationships with vendors and suppliers. With 1250, 1500, and 1800mm blade widths, this unit can prove incredibly useful for clearing out snow with the fixed left hand 15 degree sweep angle. 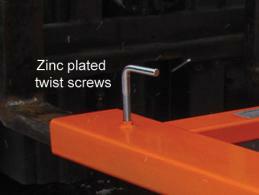 An optional rubber wear strip is also available to provide even more convenience. Prepare for the snow with this handy product today!